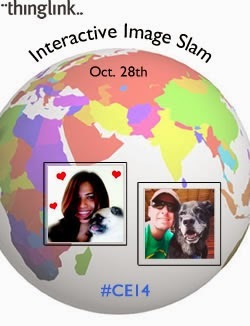 I am excited to have the opportunity to connect live and worldwide with talented EdTech SuperStars during the next ThingLink Interactive Image Slam. Join me and guest experts Richard Byrne and Shelly Sanchez Terrell to explore some interactive images. We will learn about the powerful ways these amazing educators use ThingLink to transform teaching and learning during this informal webinar. Join us live on October 28th at 8:00 PM EDT, or sign up for the archive.